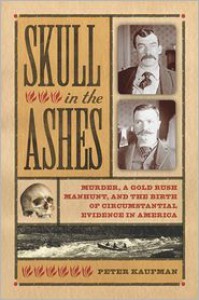 Skull in the Ashes: Murder, a Gold Rush Manhunt, and the Birth of Circumstantial Evidence in America - "A Single Word ... "
Fascinating piece of non-fiction!! This is for all those True-Crime buff’s out there - you don’t want to miss this one!! It was a great read from the 19th century and it shows how forensics has come a long way from there to here. I would give it 4.5 stars out of 5.